A new operational model for handling complaints, piloted last year by the Legal Ombudsman (LeO), has boosted quality and efficiency, and helped it get “the work right first time”. LeO said the pilot showed that involving a supervising ombudsman throughout a case “to ensure staff follow the correct process and their reasoning is rational” had improved quality, case progression and timeliness. A paper for December’s meeting of the Office for Legal Complaints (OLC), which supervises LeO, said testing of the new supervision model started in April 2018. Having carried out an evaluation, LeO said the new model had “a number of specific benefits”, which justified wider use across the organisation. The model also encouraged agreed outcomes rather than ombudsman decisions, reduced the time spent by experienced ombudsman reviewing and reworking cases, and thus improved the rate of closures per investigator. LeO made improving quality its primary focus for 2019-2020 in a consultation on its business plan launched last month. Wanda Goldwag, chair of the OLC, described LeO’s performance in 2018-19 as “mixed”, but predicted that it would achieve “consistent and sustainable performance” this year. 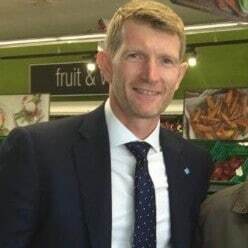 Meanwhile, Rod Bulmer, who left the Co-op Group last year after 11 years, latterly as director of strategy and renewal planning, has been appointed a lay member of the OLC board. He is joined by Shrinivas Honap, a member of the board at the Driver and Vehicle Standards Agency, UK Atomic Energy Authority and Office of the Public Guardian. Before that he held senior management roles at Capita, Vodafone and Egg Financial Services. The time commitment for an OLC board member is estimated at a minimum of 20 days’ a year across their time at the organisation, in return for remuneration of £10,000. The two outgoing lay members of the board are Bernard Herdan and Michael Kaltz.